Does your utility deliver these outage essentials? Dealing with the loss of services can be less stressful for customers who are prepared. That’s why it’s vital to offer a dedicated landing page where customers know they can get information, find helpful tips and videos, report outages, download apps and connect to emergency resources. 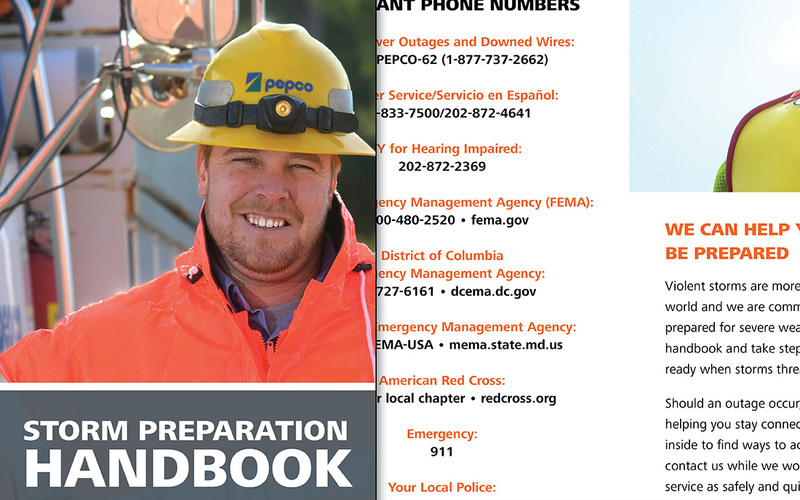 In 2014, the “storm portals” we designed for the energy utilities of Pepco Holdings, Inc. formed the hub of a campaign that generated nearly 200,000 clicks, helping customers to prepare for the mid-Atlantic storm season. The result was a 7- to 12-point increase in customer satisfaction compared to the previous quarter. Your customers don’t like busy signals any more than you do, but fewer and fewer of them are picking up the phone to get the information they need. J.D. Power notes that utility customers who were able to access critical outage information in 2017 returned higher satisfaction scores than customers who didn’t, and more of them went online to get it. For example, about 35% of customers accessed utility websites through their mobile devices, up 15% from 2016. And overall, two-thirds of utility customers surveyed received critical information during outages. So your utility must offer multiple ways to access information – whether it’s a mobile-friendly website, social media pages, a handy app or text message alerts. Quality online outage maps can address all these questions, which is why a 2012 J.D. Power study associated them with a 52-point gain in customer satisfaction scores. But even though virtually all utilities now offer outage maps, don’t assume that all your customers are familiar with them. In storm preparation materials and social media posts for Atlantic City Electric, Delmarva Power and Pepco, we regularly used screen captures and functional descriptions of outage maps in order to promote widespread awareness. Customer satisfaction doesn’t grow because of apologetic messages after an outage. It grows because of transparency and outreach year-round. On a tactical level, this might include videos explaining how service is restored after an outage, or demonstrating the passion and commitment of your people. But it’s also about attitude – involving customers in the challenges of delivering quality service, by treating them as true stakeholders. For example: when negative perceptions about Pepco’s electric service lingered in a key Maryland county, Creative Co-op started an ongoing reliability campaign providing local residents with quarterly reports via letters and bill inserts. Each proactivenreport explained new upgrades and technologies, with specific facts and figures about the number of projects in progress and the latest reduction in outages. In just one year, favorability was nine points higher – and 54% of the county’s customers were aware of Pepco’s efforts to improve reliability. If your utility needs expert help delivering on its promise to customers, take a look at our case studies to learn more or contact Creative Co-op today at (603) 658-1600.